BEST GET WELL CARD EVER!!! Donna and Boots just might be the cleverest and most creative team out there. So, with best wishes to Julie for a speedy and full recovery, check out the best get well card ever from our dear friends, Donna and Boots! 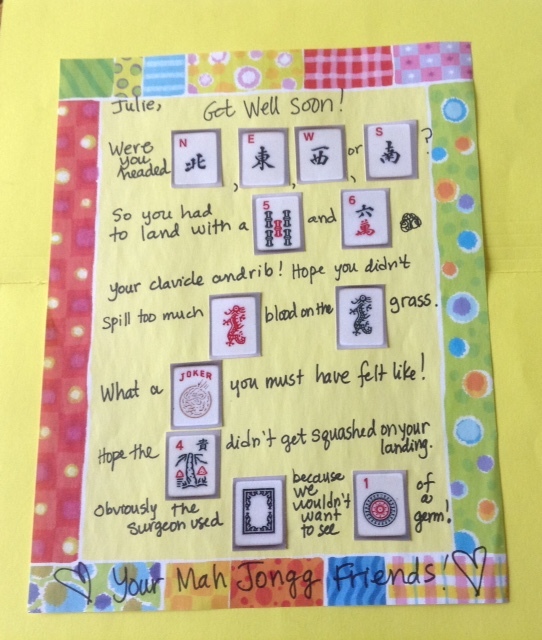 This entry was posted in Mah Jongg and Me and tagged get well card, mah jongg on May 5, 2015 by Mah Jongg and Me.